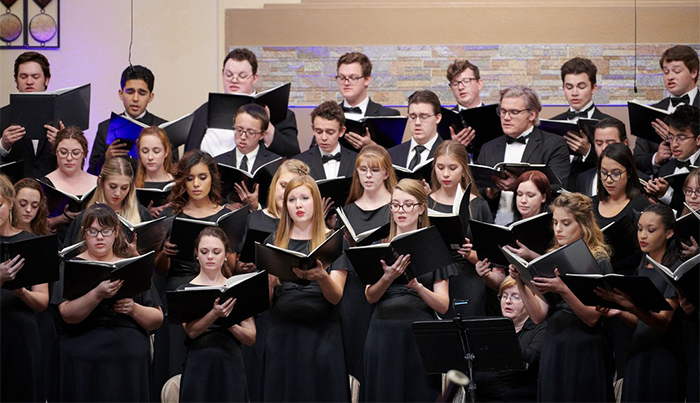 The Music Department aims to reach new audiences with its “Masterworks Concert: Songs of Faith,” with performances at two churches in east Phoenix over the next week and a half. Dr. Juan Hernandez, Assistant Dean of the College of Fine Arts and Production, hopes to introduce the talent emerging from the Music Department to a new audience. The solution: Take the Masterworks Concert to new territory. Critical Mass (pictured) will join the Canyon Chorale for the concert. 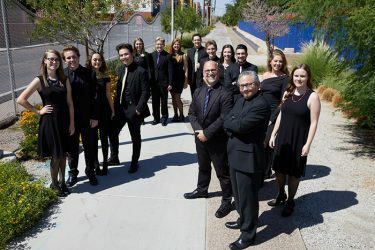 Instead of being performed near campus, the “Masterworks: Songs of Faith” concert will bring together the Canyon Chorale, Critical Mass and student soloists to sing spiritual pieces, new and old, at two churches in east Phoenix. The concert, which focuses on Grand Canyon University’s strong Christian faith through music, is scheduled for 7 p.m. Thursday at First United Methodist Church in Phoenix, 5510 N. Central Ave. and 7 p.m. Friday, Feb. 15, at Paradise Valley United Methodist Church, 4455 E. Lincoln Drive. Alongside Hernandez and the choir, GCU Music Director Mark Fearey will return on piano for the set, and musical guest Michael Downey will play the trumpet to accompany several songs. “With the use of the other instrument in addition to the piano and some of the newer chorale music, there’s a nice bit of everything for a lot of different ears,” Fearey said. “Both of the venues where we will be performing are just beautiful churches that are really built specifically to host really good music,” Hernandez said.